ABC News Combines Information With Facebook In ‘Facecast: The One Thing’!!! Facebook continues to open up new avenues that will bring together entertainment and the social network. 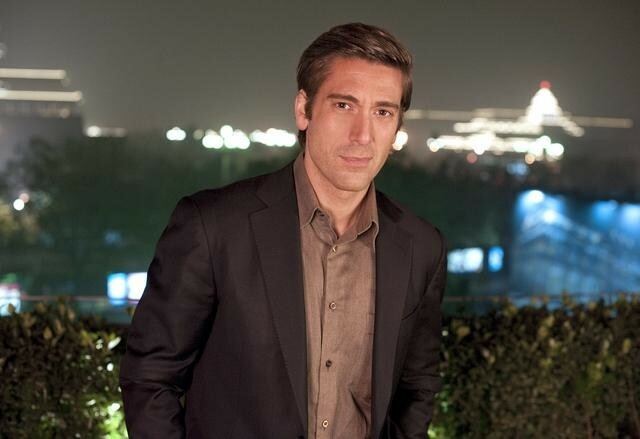 The newest avenue to combine the pair is the announcement that anchor David Muir from ABC’s ‘World News Tonight‘ will jump from the small screen to the computer screen with ‘Facecast: The One Thing‘. ABC announced today that Muir will host a daily one-minute video update each weekday beginning December 1. The short update will give the broad strokes of the latest stories and hot topics. The webcast will be shot behind the scenes at ABC News HQ in NYC. This is the first daily newscast tailored specifically to social media and presented by an evening news anchor. This sounds a bit like MTV’s Breaking Entertainment segments, but Facecast will feature a bit less pop culture and a bit more breaking news and topics like sports, politics, the economy all presented with video, pic and infographics. This is a technologically modern spin on a somewhat stodgy and stuffy evening news format. This entry was posted on Monday, December 1st, 2014 at 7:55 pm	and is filed under News, Television. You can follow any responses to this entry through the RSS 2.0 feed. You can skip to the end and leave a response. Pinging is currently not allowed. « Idris Elba Racing To The Small Screen!! !